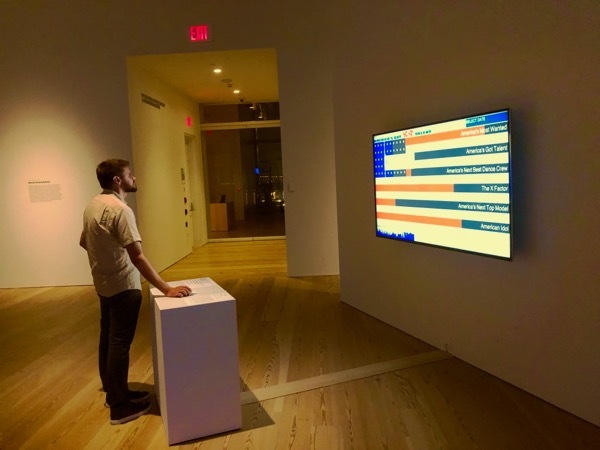 “America’s Got No Talent” installed at “Programmed: Rules, Codes, and Choreographies in Art, 1965–2018“, Whitney Museum of American Art, Sep 28, 2018–Apr 14, 2019. 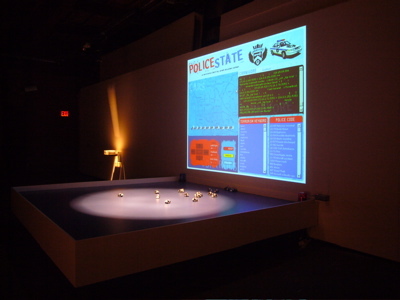 NYC Media Lab Annual Summit, Kimmel Center / NYU, New York, NY, USA, September 25, 2015. October 2, 2010,“ December 4, 2010, Otis College of Art and Design, Los Angeles, CA. September 25, 2010 and September 26, 2010, NY, NY.